How much longer will Rossi and team remain on the case? Has the Criminal Minds TV show been cancelled or renewed for a 14th season on CBS? 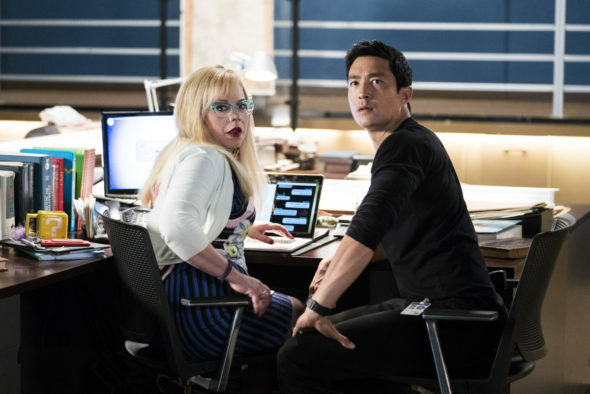 The television vulture is watching all the latest TV cancellation and renewal news, so this page is the place to track the status of Criminal Minds, season 14. Bookmark it, or subscribe for the latest updates. Remember, the television vulture is watching your shows. Are you? The 13th season of Criminal Minds averaged a 0.99 rating in the 18-49 demographic and 5.73 million viewers. Compared to season 12, that’s down by 29% and down by 23%, respectively. Find out how Criminal Minds stacks up against the other CBS TV shows. Criminal Minds has been renewed for a 14th season which which will debut on October 3, 2018. Stay tuned for further updates. Although the ratings slipped some last season, CBS still renewed Criminal Minds for a 13th season. It premiered with lower numbers than last season and the ratings have dropped quite a bit lower. To be honest, I think this show’s fate will all come down to money and contracts. I suspect that there will be a 14th and final season. I’ll update this page with any updates. Subscribe for free updates on any Criminal Minds cancellation or renewal news. What do you think? Are you glad that the Criminal Minds TV show has been renewed for a 14th season? How would you feel if CBS had cancelled this TV series, instead? Love this show it is the best show on TV. It was a little hard to adjust to new characters which are good,but still I really miss Hotch and Morgan. PLEASE LEAVE CRIMINAL MINDS ALONE ! IT IS THE BEST FBI SHOW ON TELEVISION AND THE SHOW HAS THE GREATEST GROUP OF ACTORS AND ACTRESSES ! IF YOU TAKE CRIMINAL MINDS AWAY FROM US, THERE IS NO RESAON TO WATCH TELEVISION AT NIGHT FOR ME AND MY HUSBAND ! THESE ACTORS & ACTRESSES WORK VERY HARD FOR YOU & US ! PLEASE, THINK TWICE BEFORE YOU TAKE IT AWAY FROM THE CRIMINAL MINDS FANS ! WE LOVE THEM SO MUCH ! I would be VERY disappointed if Criminal Mids were cancelled!! It’s one of my favorite shows. It’s time to bring back hitch,thats why the rateings went down. Please please please don’t cancel the show after season 14. So many people here in Australia love the show and watch it religiously. Whilst Morgan and hotch are missed I love the new characters and look forward to many more seasons. You’ll have a lot of unhappy aussies if this show ends. Please keep it going!!! We love Criminal Minds and never miss watching. Please keep. IT and NCIS are the only shows with substance. Reality TV is such a waste! Agreed. Criminal minds, NCIS and law and order are the only shows I watch and are worth watching. I have never missed an episode, will be sad if it’s cancelled. It gives a reality check that there Really are evil people out there! NO cancel!